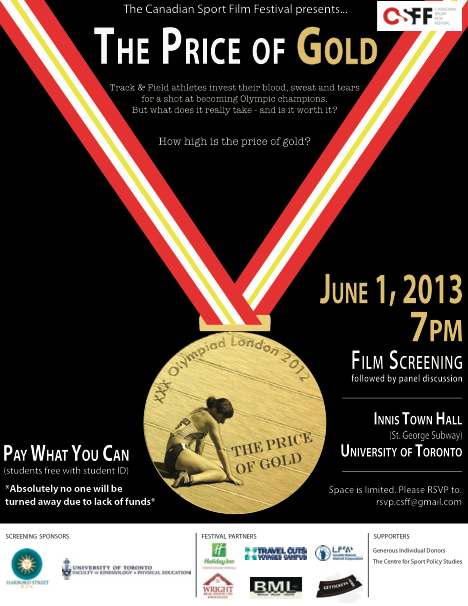 The documentary film “The Price of Gold” (Medaljens Pris) by director/producer Folke Rydén is to be screened at the Canadian Sport film festival in Toronto. The Price of Gold, commissioned by Swedish Television SVT, examines exactly how much blood, sweat and tears top athletes invest for a shot at becoming Olympic champions. But was does it really take – and is it worth it? How high is the price of gold?